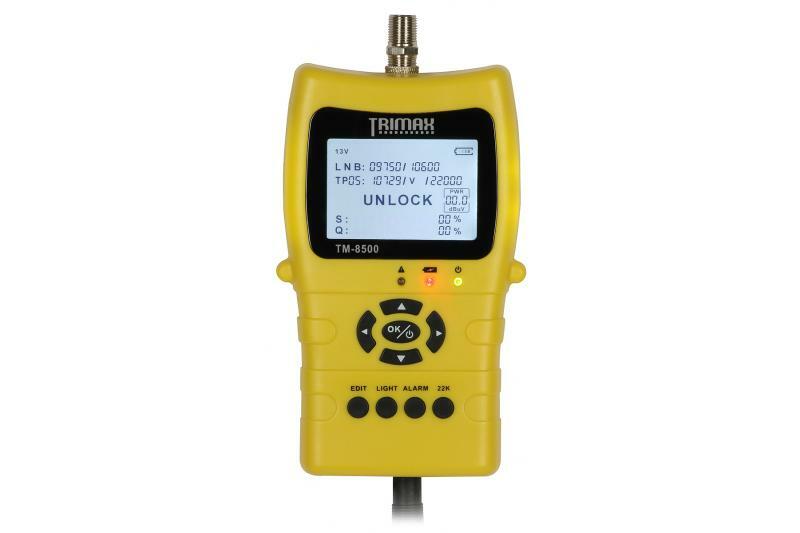 Digital satellite meter TRIMAX TM-8500 HD allows for quick setup of satellite dishes. The device is equipped with a clear 2.1" TFT LCD display. Navigation is done using a small keyboard with keys covered with rubber. Clear menu of the device will surely facilitate the work of every installer. The signal level is expressed in dBμV, along with its quality (percentage). Tracking these parameters, the installer can precisely adjust each piece of the satellite path: dish, LNB, and in the case of larger systems - multiswitches and amplifiers.